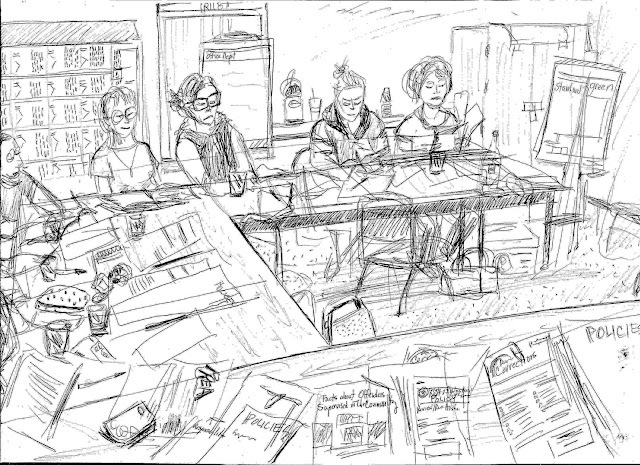 Urban Sketchers Seattle: All work and no time to sketch! All work and no time to sketch! Impromptu sketch with random pen and paper at a training meeting...All work and no time to sketch!